Professional, the owners are working owners who came out and inspected the sight and job that was completed. I was surprised by the level of service that they provided, and I mean that in a good way. The did everything they said they were going to do and solved other problems that I had. By them doing that, I ended up saving a lot of money. It was an easy process from start to finish. They were very professional. I had an issue with door, and they came out to see it. 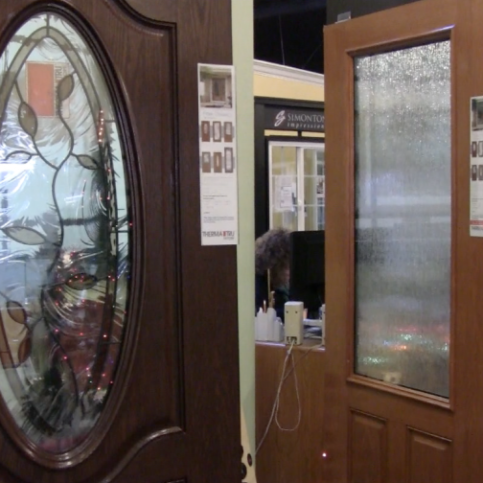 They felt uncomfortable about an issue that the door had, so they called the manufacture to solve the issue. While fixing my door, they kept everything neat. I really enjoyed working with Jeff. It was great when he came out to check up. They're very professional, competitive with prices, and reliable. I think that the quality that they provide is good. 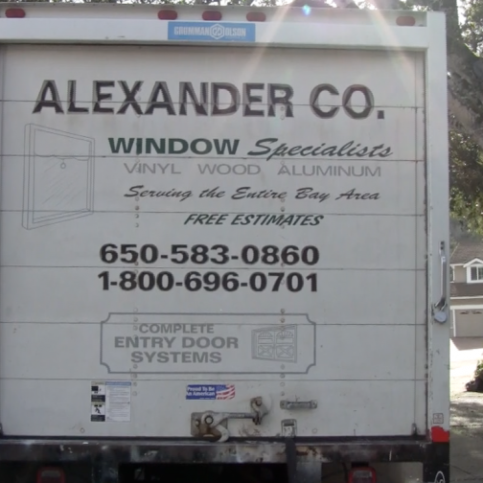 Alexander Company installs replacement windows and doors for residential clients in San Mateo County and San Francisco. 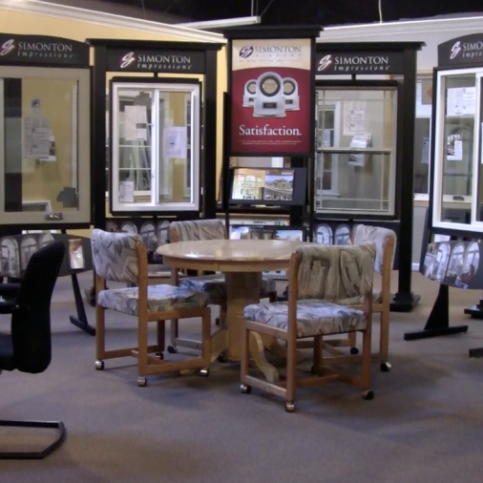 In addition to its professional installation capabilities, the family-owned and operated company maintains a large showroom in Burlingame that carries a wide variety of products, including vinyl, aluminum, wood and fiberglass windows made by leading manufacturers such as Simonton, Marvin, Anderson, and Milgard. 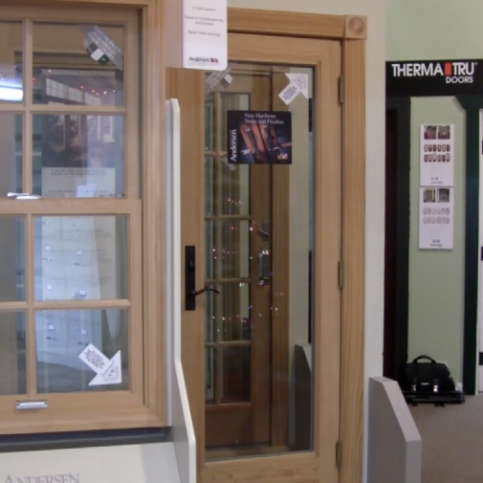 Alexander Company offers a wide variety of window and door products at its Burlingame showroom. 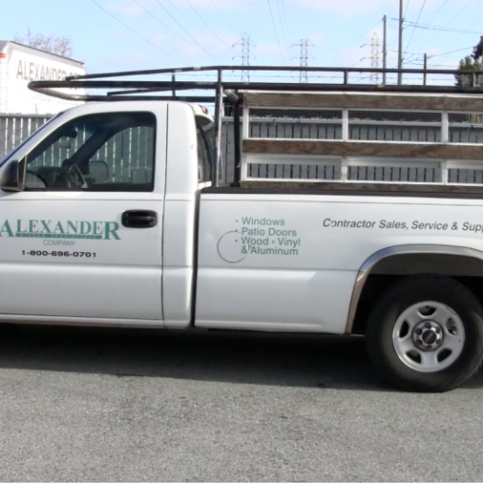 Alexander Company installs all types of replacement windows and doors for residential clients in San Mateo County and San Francisco. 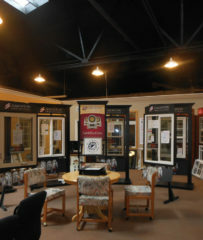 In addition to its professional installation capabilities, the family-owned and operated company maintains a large showroom in Burlingame that carries a wide variety of products, including vinyl, fiberglass, wood and aluminum windows made by leading manufacturers such as Milgard, Simonton, Marvin, Andersen and Integrity. 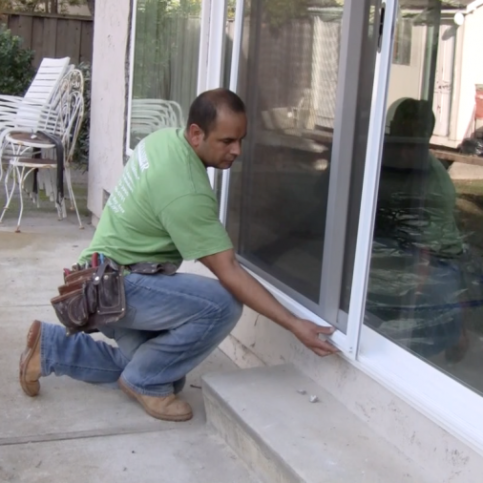 If you’re considering replacing your windows, consider the advantages of dual pane products. The most substantial benefit of dual pane windows is their ability to provide superior insulation, which in turn increases energy efficiency throughout a home. 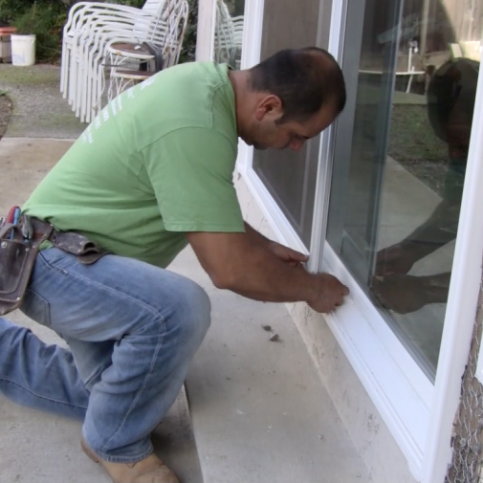 The energy savings alone often make it a worthwhile investment to have your old, single pane windows replaced with double pane windows, but there are numerous other benefits that most people aren’t even aware of. One of these benefits is the reduction of condensation throughout the home, which is a byproduct of dual pane windows’ superior insulation. The tightness of a dual pane window inhibits moisture from entering the home, which introduces practical health benefits such as decreasing the prevalence of seasonal illness and the accumulation of latent mold. The process for argon gas filling is as follows: The space between the glass panes (formerly filled with air) is filled with argon or krypton gas, both of which are nontoxic, nonreactive, clear, odorless substances. The space is filled with gas and not air because gas is denser and thus less conductive of heat, which makes double pane windows even more effective barriers between the exterior and interior of a home. Q: How soon can you start my project, and how long will it take to complete? A: We typically start a project four weeks after the initial order. 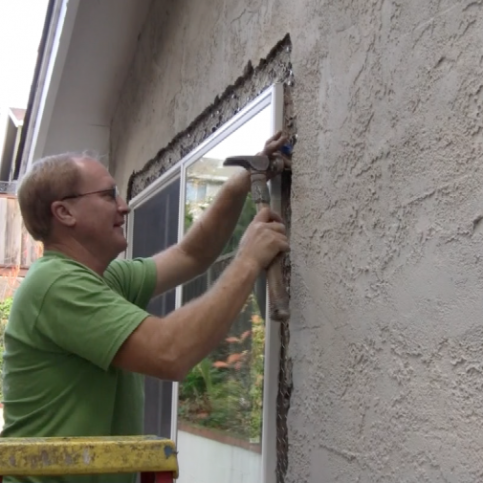 The duration of a job varies depending on size—we can finish most jobs in one or two days, but it could take up to a week if it’s a large project. Q: Do I need to get a permit or schedule an inspection for my window project? A: Permits are required in many cases, but we’ll take care of that whole process, from pulling the permits to ensuring everything is up to code. We can also coordinate with the city to schedule an inspection if necessary. 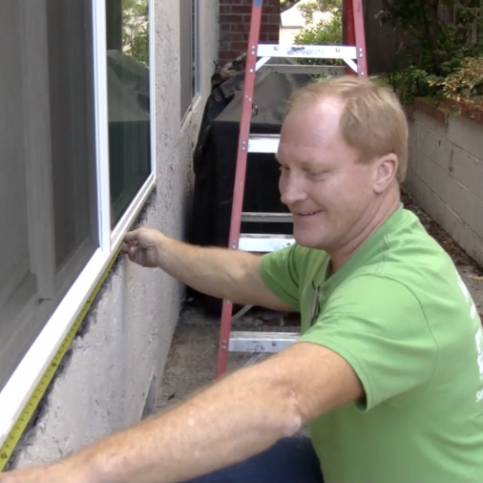 Q: Will I need paint work done after my windows are installed? A: It depends on the nature of the installation. 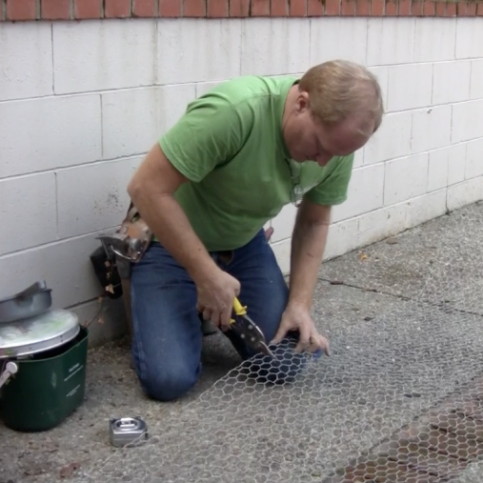 Most retrofit installations don’t require painting, but if they do, we can recommend some good companies. 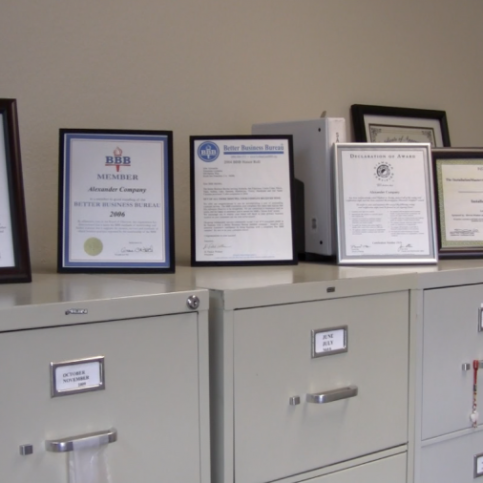 Q: Is your work factory-authorized and certified? A: We always work toward the standards that the product manufacturers recommend. We’re also one of the few authorized installation dealers for industry leader Marvin. Q: Why should I choose you over a lower bidder? A: If you compare our estimates to other companies, we’re typically either in the middle or on the high end. 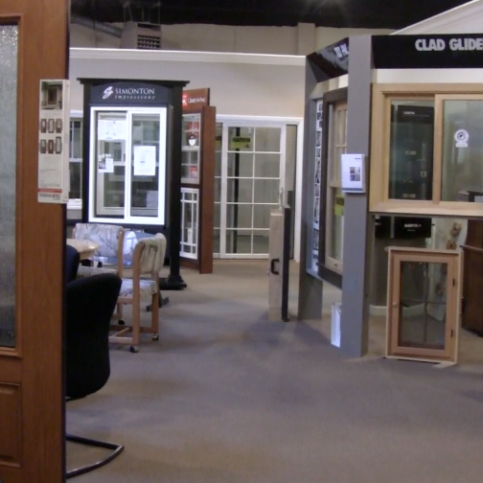 The price of a window project tends to have a direct effect on the end result, from the products that are chosen to the quality of the installation itself. With that in mind, we believe our pricing is very fair and competitive. We’re going to do the job properly, and we’ll be there for our customers if they ever have an issue down the line. 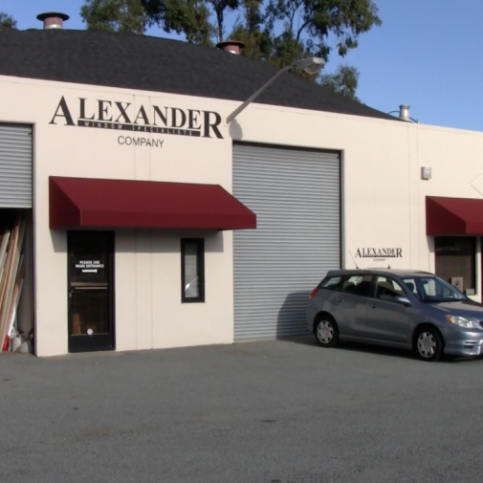 Alexander Company offers a variety of products at its Burlingame showroom. Alexander Company offers the latest products for its customersÛª convenience. 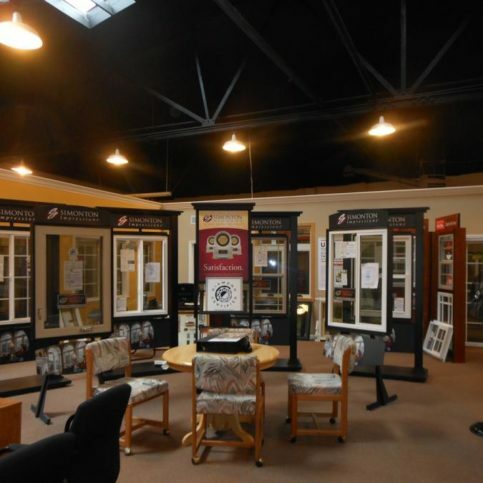 A wide variety of doors and windows are available at Alexander CompanyÛªs showroom. 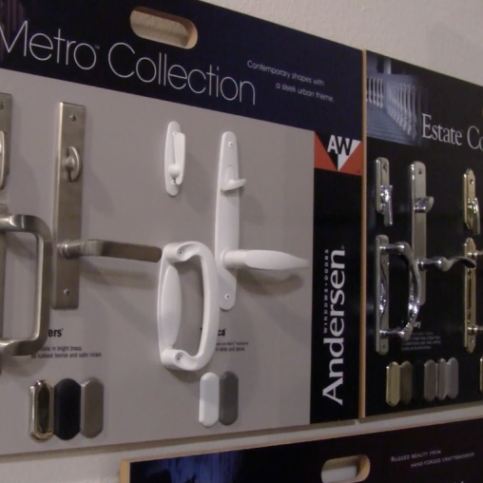 Alexander Company carries many types of door handles and accessories. 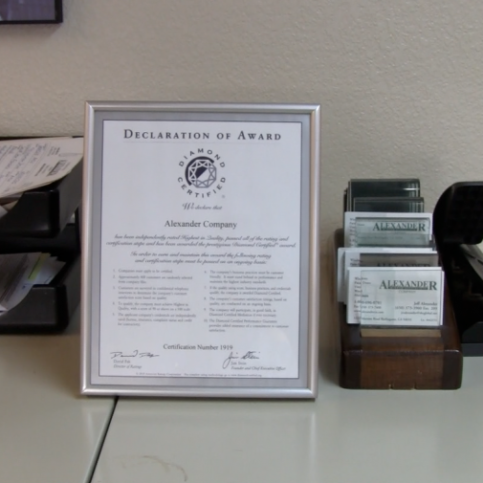 Jeff Alexander is second-generation owner of Alexander Company, a Diamond Certified company since 2012. He can be reached at (650) 525-4171 or by email. Outside of work, Jeff spends his time on a variety of active pastimes. “I enjoy playing golf and going to professional sporting events. Besides being a Giants and 49ers fan, I’ve jumped on the Golden State Warriors bandwagon in the last couple of years, as a lot of other people have.” Jeff also likes getting out and about with his wife, Rosie, and exploring San Francisco, the Wine Country and other parts of the Bay Area. A: Waterfront Restaurant in San Francisco. A: Summer—I enjoy the warm weather and long days. A: It depends on what I’m doing. When I’m running around during the day, I usually listen to sports talk radio, but when I’m home on the weekends, I like listening to music. 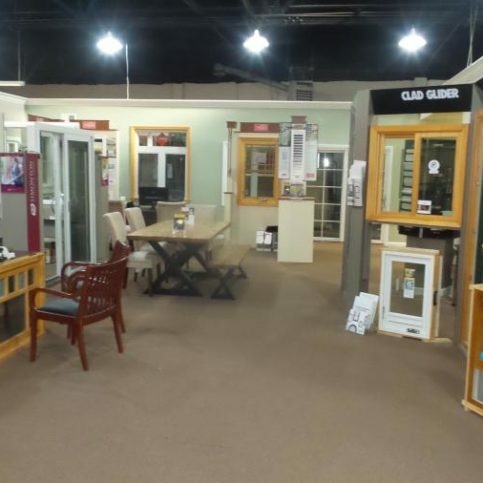 If a window contractor has been in business for many years, it indicates an ability to provide ongoing customer satisfaction. Any quality window contractor uses quality products. Top manufacturers are always improving products with the newest building code and energy efficiency standards—plus, they typically have the best warranties. 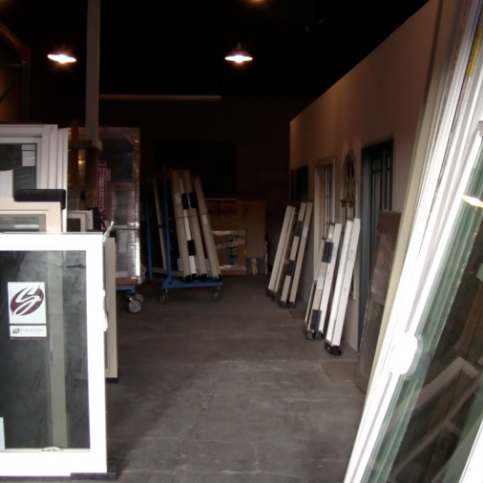 In addition to staying current with the latest products and installation methods, a good window contractor will provide their sales and installation staff with regular training. 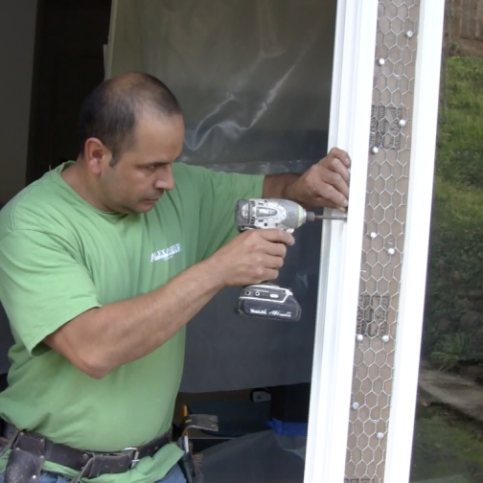 A window contractor that’s both a dealer and installer can streamline your project by handling all steps of the process in-house. 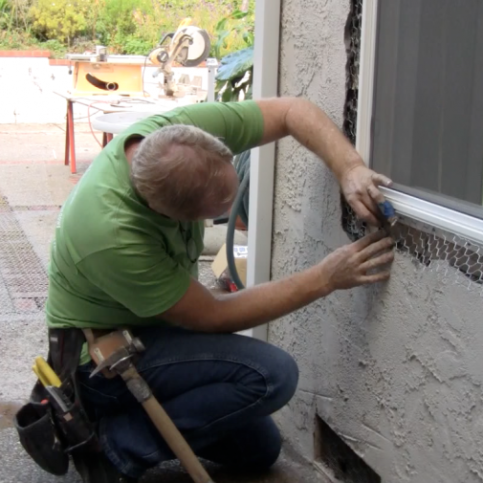 BURLINGAME — Host, Sarah Rutan: When replacing your home’s windows, your most important decision will be which company you choose to work with. 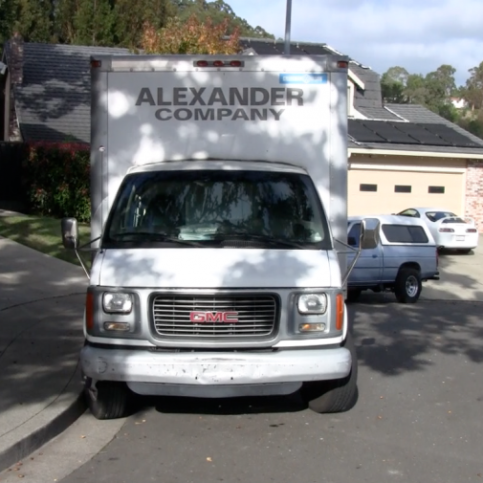 Today we’re in Burlingame with Diamond Certified Expert Contributor Jeff Alexander of Alexander Company to learn more. 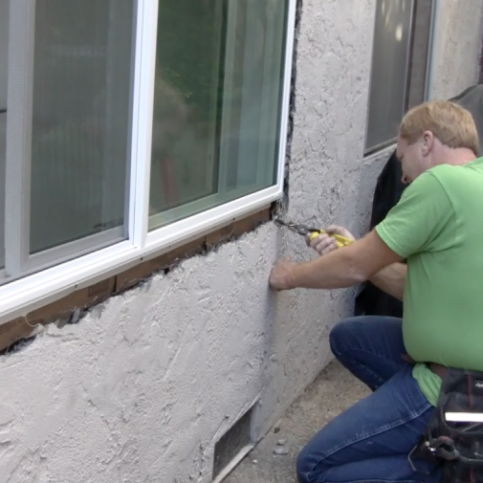 Diamond Certified Expert Contributor, Jeff Alexander: Window replacements are an important home improvement. Choosing the right brands and contractors are very important. Window manufacturers that have been established for many years are always improving products with the newest building code and energy-efficient standards. The best companies provide regular training to our sales and installation staff. So, pick the right contractor and brand. This is a key to a successful window project. Alexander Company : Average 9.3 out of 10 based on 225 unique customer surveys of customer satisfaction. They are really helpful and they go the extra mile. The honesty I really liked, they could have easily told me to replace all my windows, but he did not. He told me the ones I didn't need to replace. They are friendly, courteous, and very thorough. I would advise them if they need doors or windows installed to use them. They are great quality. They were very honorable and delivered exactly what they promised. They are very reliable and very courteous. I have recommended them to several neighbors. They are honest and efficient. They are very professional, informative and responsive. The installer guys were great. They were neat and cleaned up after themselves. This is the third home that they have done for me. I will use them again for my fourth home. They provide top-notch service and offer many options. They have great options and great service. The service for sure, dealing with Jeff was great. They provide top-notch service. I know the owner Alexander. He provides good service. I recommend them highly. They're professionals. They did a good job and were very clean and efficient.